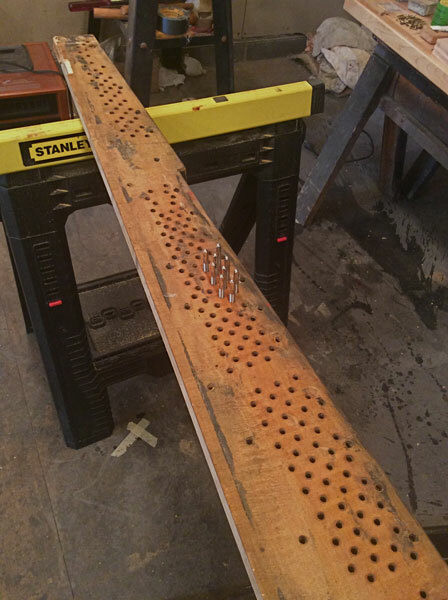 A piano that is exposed to dry conditions such as a harsh Michigan winter or a piano that is old, may have a pin block that will no longer hold tension on the strings. The photo below is a pin block that was removed from a seventy five year old piano. The tuning pins that are seen in the pin block are finely threaded screws. They must fit in the pin block tight enough so they do not easily turn in the block. 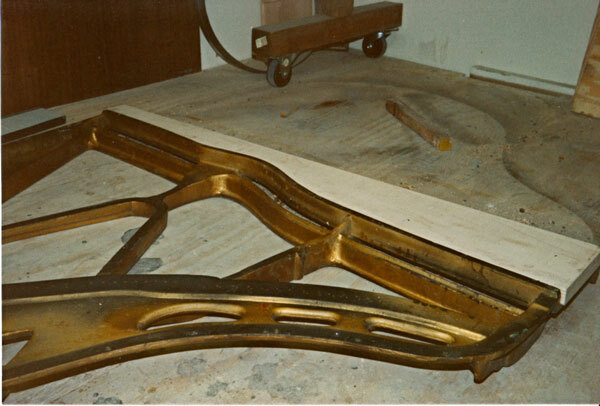 The photo below shows a new pin block that is being fitted to the metal plate of the piano. When the fit is perfect, the pin block and plate are installed in the piano. Piano owners that are told their piano is untunable will have to make a decision. Options include; do nothing, have a chemical applied at the base of each pin which may give a few additional years of tuning stability, or have the piano restrung and change the pin block. Of the three options indicated, restringing is the repair of choice when the piano is a family heirloom, or the piano is a high quality instrument such as Steinway, Mason & Hamlin, etc. Please watch the video below to get an over view of the restringing process. Ace Piano Inc. has been serving piano owners in the Metro Detroit area for close to thirty years. Only the finest replacement blocks and strings are used. Craig is an experienced and skilled craftsman that incorporates old world techniques, and up to date technology to deliver the highest possible end result…a piano that is able to provide many more years of beautiful music.